Innovation and collaboration can solve the world’s most pressing problems. 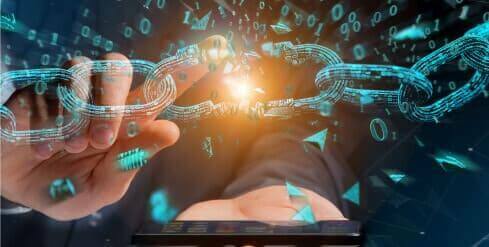 The business value-add of blockchain will grow to slightly more than $176 billion by 2025, and it will exceed $3.1 trillion by 2030. 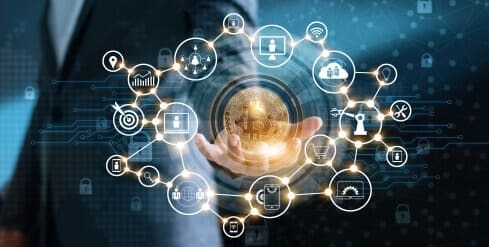 In a PwC survey of 600 executives from 15 territories, 84 percent say their organizations have at least some involvement with blockchain technology. 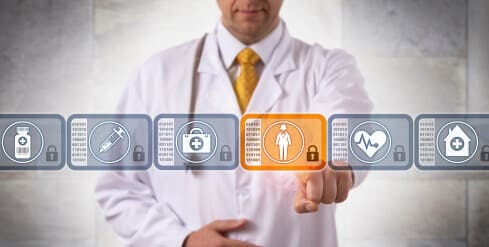 In the same survey, 48 percent of respondents cite regulatory uncertainty as the biggest barrier to blockchain adoption. 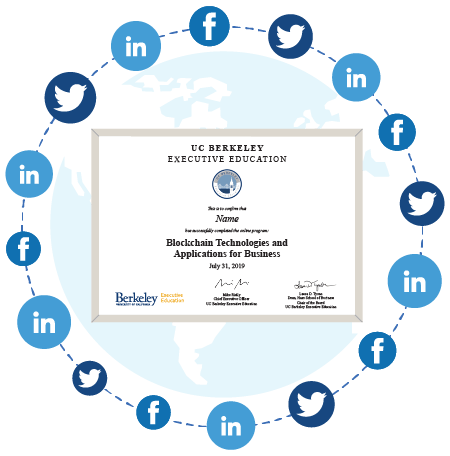 During this online journey, you’ll connect with UC Berkeley Executive Education's faculty, industry leaders, and peers from every corner of the globe, taking a deep dive into the applications of blockchain technology for business and society. Taking a case-based approach featuring use cases from finance, healthcare, supply chain management, and consumer products, you’ll collaborate through moderated discussion boards and join faculty for live interviews with industry leaders, including Q&A. In addition, there are live office hours to supplement the live and recorded sessions. How does a financial institution with $1.7 trillion in assets under management begin to assess the opportunities that blockchain technology may offer? 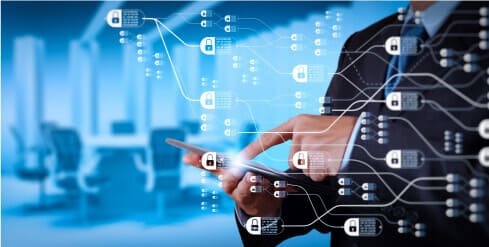 Learn how Deutsche Bank is executing its strategy to become a more digital bank by harnessing innovation in its internal incubator, Deutsche Bank Labs. Deutsche Bank is experimenting with blockchain technology to deploy "smart contracts" to make the life cycle of corporate bonds more efficient. Could blockchain be the holy grail for the largest shipping company in the world? Could this technology help to eliminate onerous paperwork and reduce fraud and shipping delays? Should Maersk create an industry platform for all shippers or go at it alone? Could blockchain be used for massive good in society? The founders of Ripple, one of the top traded cryptocurrencies in the world, set up a foundation with a significant amount of its holdings with the goal to fund Blockchain for Social Impact. Maura is a lecturer and distinguished teaching fellow in entrepreneurship at UC Berkeley. In 2016, she received the UC Berkeley Earl F. Cheit Award for Excellence in Teaching. She also advises startups, global companies, foundations, and global government agencies on innovation and new technologies. Maura is best known for adapting venture capital and drug discovery methods to global development by co-creating the Development Innovation Venture Fund that has expanded into the Global Innovation Fund. Her research and interests include regulatory and policy in blockchain and cryptocurrency as well as entrepreneurship and disruption from blockchain. She also teaches the Blockchain Technology and Strategy program at UC Berkeley. Note: After successful completion of the program, your verified digital certificate will be emailed to you in the name you used when registering for the program. All certificate images are for illustrative purposes only and may be subject to change at the discretion of UC Berkeley Executive Education. UC Berkeley Executive Education is collaborating with online education provider EMERITUS Institute of Management to offer a portfolio of high-impact online programs. These programs leverage UC Berkeley Executive Education's thought leadership in management practice developed over years of research, teaching, and application. By working with EMERITUS, UC Berkeley Executive Education is able to broaden access beyond on-campus offerings in a collaborative and engaging format that stays true to the quality of University of California, Berkeley. The first week is an orientation module only, there is no teaching, and it is recorded. 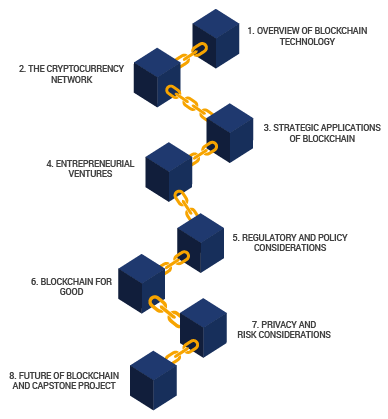 Join the Blockchain Technologies and Applications for Business program now and don't delay the impact that the program will have on your career. Pay the entire course fee of $2,600 at once. The first installment of $1,379 is due immediately. The final installment of $1,273 is to be paid by June 19, 2019. The first installment of $983 is due immediately. The second installment of $874 is to be paid by June 19, 2019. The final installment of $874 is to be paid by July 9, 2019. Relentlessly focused on sourcing and scaling breakthrough ideas, Maura has been thrilled to grow businesses, teach, and mentor others wanting to make a big difference. In 2009, she was appointed by President Obama to be the first chief innovation officer of the U.S. Agency for International Development. Serving until summer 2013, she was responsible for inspiring and leading breakthrough innovations in foreign assistance and development worldwide. Maura is best known for adapting venture capital and drug discovery methods to global development by co-creating the Development Innovation Venture Fund that has expanded into the Global Innovation Fund. Maura served as a member of the White House Innovation Cohort, assisting in innovation across the federal government. Prior to joining the Administration, she served as a chief of staff in the U.S. Senate. 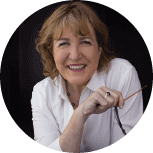 A serial entrepreneur, Maura founded four companies in the fields of electricity efficiency, smart grid and customer info systems and billing, e-commerce, and digital education. Maura is a lecturer and distinguished teaching fellow in entrepreneurship at the University of California, Berkeley. In 2016, she received the UC Berkeley Earl F. Cheit Award for Excellence in Teaching. She also advises startups, global companies, foundations, and global government agencies on innovation and new technologies. Maura has MBAs from Columbia University and University of California at Berkeley. She has a PhD from University of Washington, where her research focused on narrow-mindedness and the errors it can lead to in science, medicine, business, and political decision making. She helped found a public charter school, Baltimore Leadership School for Young Women (grades 6–12), and continues to serve as vice chair.